The capital of the Dead Sea, Ein Bokek, has in a radius of 2.5 miles, 20 hotels totaling 5,500 rooms for tourists that visit the area, both for medical purposes and tourist attractions. In the midst of these hotels, is a small shopping center called Petra. The Center offers an assortment of shops, restaurants, including McDonalds and other service outlets to the public. WAVE managed the project and in 2008 Petra was sold to a Public Company. 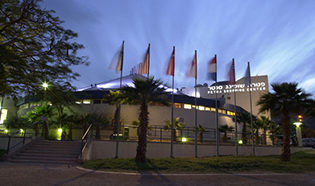 In 1994 the first Mall in Ashkelon was opened up. Eddie Weiss marketed the project to overseas investors. The Mall is in the epi-center of the city next to the Municipality. 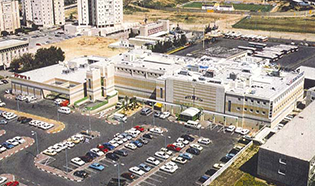 It has 12,000 meters of shops and 3 floors of offices and it is still one of the most successful malls in Ashkelon. The Mall was refurbished in 2008 to enlarge the commercial area. In 2010 the mall was sold to the Management Company. A complex consisting of 10,500 square meters of commercial space including 1,500 square meters retail and 9,000 square meters of office space, over 6 floors. The building has two levels below ground to which facilitates an underground car park for 200 cars. 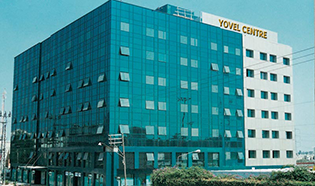 It is situated on the Geha highway interchange next to the Coca Cola factory in Bnei Brak. The project opened up in 1997 and was marketed overseas. Coca Cola is the main tenant and rents 3 floors of offices and purchased the other 3 floors of offices. Coca Cola has a 23 year lease. The commercial space was sold off. Wave Manages and maintains the building and shareholders companies.